Ridge Avenue has experienced an avalanche of new construction over the last handful of years, as developers have bought up vacant or blighted properties and constructed modern mixed-use buildings in their place. As we’ve documented, these are unusually forward thinking projects, as businesses haven’t exactly been rushing to fill those commercial spaces to date. But the developers are hoping that if they build it, the retail will eventually come, and maintaining residential density on the corridor will eventually create a critical mass that will result in many successful business ventures in Francisville. There’s a small stretch of Ridge Avenue that’s seen no changes during the recent boom, and that’s the area just past Poplar Street. And there’s a reason for this- the buildings that are on this block are very recent additions to the neighborhood, having been built in the late 1990s. Back then, a developer built a couple dozen twin homes in this part of the neighborhood, creating new streets behind the homes that allow for rear-access parking. 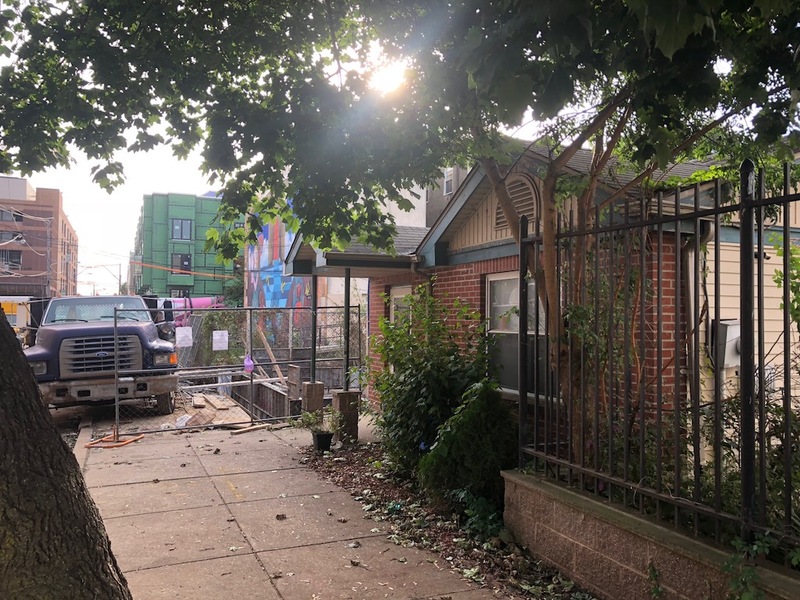 Having only been around for a couple decades, these homes have been occupied and well maintained and therefore have not turned over like so many other properties in Francisville. But that seems to be changing, at least on the 1700 block of Cambridge Street. 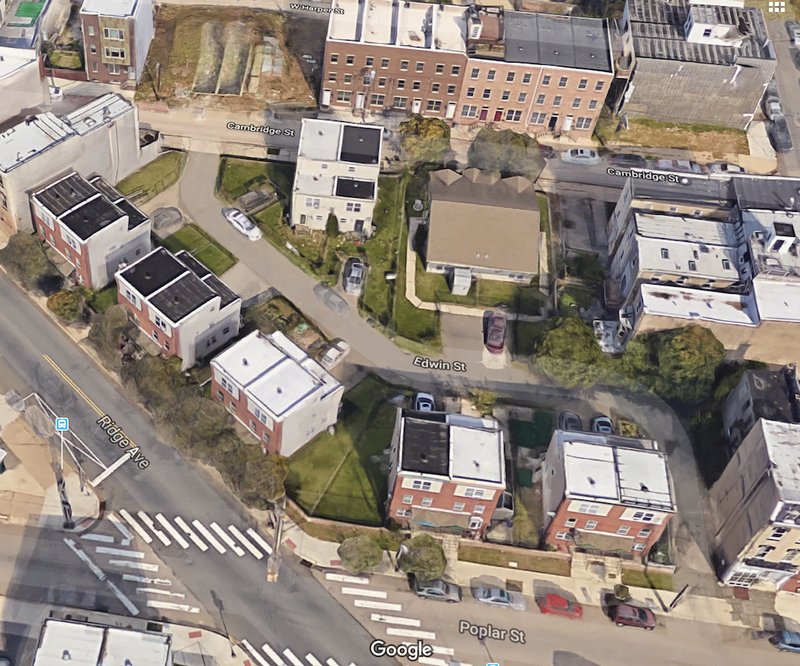 A reader tipped us off recently, giving us the heads up that two homes had recently disappeared on this block. Developers bought the one-story home at 1710 Cambridge St. in the middle of 2017, paying $300K for the property. They have since demoed the home and gotten a variance to build an eight-unit building with 3 parking spots. Different developers got an even better deal last year for 1716 Cambridge St., paying a mere $185K for that home. That property will soon be a seven-unit building. Looking west on Cambridge St.
1714 Cambridge St. was listed for sale over the summer at a $369K list price, but was ultimately taken off the market without selling. We have to think that this home will eventually turn over, perhaps after the projects next door are a little further down the road. And this feels like just the tip of the iceberg. As homeowners on Ridge and Poplar see the prices developers are paying for the homes on Cambridge, we imagine they will start to think about selling as well, which could trigger some sizable developments along the corridor if any developer is able to consolidate a couple of properties in a row. 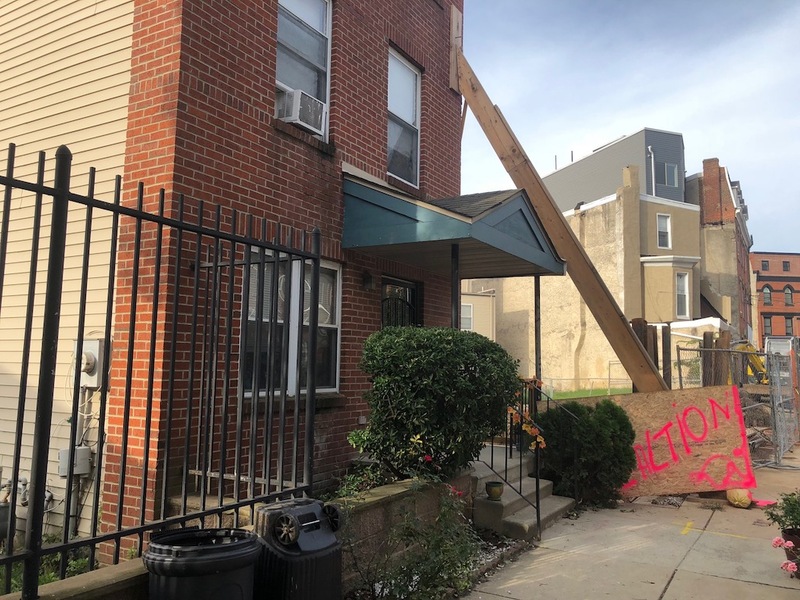 We’ve seen this phenomenon play out on 19th Street and 20th Street in Francisville, and we suspect it’ll happen again over here in the coming years. And figure that the properties on Ridge won’t get downzoned any time soon, so that’s definitely a plus.